July 4th Events - Hegarty-Haynes Insurance, Inc.Hegarty-Haynes Insurance, Inc.	July 4th Events - Hegarty-Haynes Insurance, Inc.
← Save Lives! Prevent Distracted Driving! With July 4th – which marks the signing of the Declaration of Independence, just four days away, have you cemented your plans for the evening? Perhaps you’ll be among the reported 44.2 million Americans traveling 50 miles or more away from home to honor the red, white and blue? There are a number of July 4th events in town, however, that never fail to be well-attended. Each of the following events not only promise family-friendly activities, but you’ll also find live entertainment, festive food and spectacular fireworks displays. Here are just a few of events happening around town. 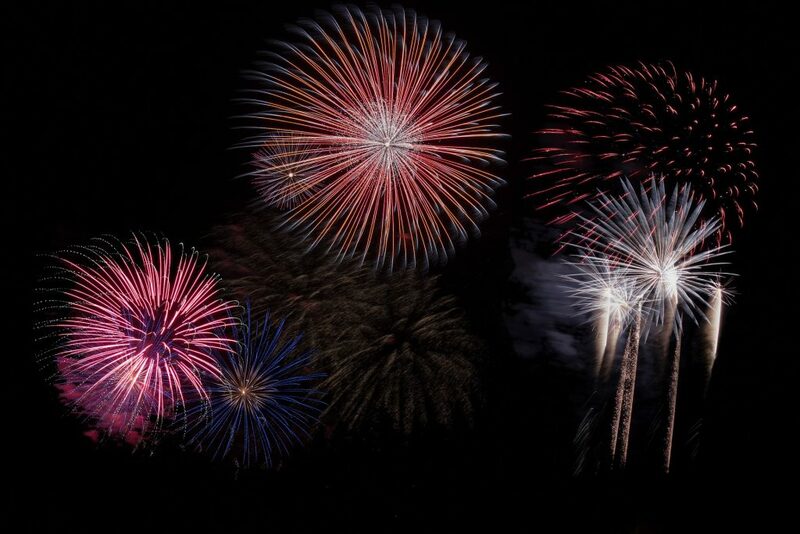 Anthem’s Independence Day Celebration | 6-10:00 p.m.
Fireworks commence at or around 9:30 p.m. The whole family is invited to attend this free Independence Day event. Family-friendly activities, patriotic themed events and live entertainment will be on hand for the celebration, which is scheduled to take place from 6:00 to 10:00 p.m. Families can bring blankets or lawn chairs and sit back to enjoy the spectacular event. All you can ride bounce bracelets are available to purchase from the Community Center. Light Up the Sky | 6:30-9 p.m.
Fireworks commence at or around 9:10 p.m. The annual Light Up the Sky event takes place from 6:30 to 9:00 p.m. Attendees can expect live entertainment, an inflatable fun zone for the kids, local sports mascots, community resource booths, family-friendly activities on the baseball diamond, food and drink available for purchase, and so much more. Free admission. Fabulous Phoenix 4th | 6-10:00 p.m. Enjoy the Southwest’s largest fireworks display with two international recording artists performing at this year’s Fabulous Phoenix 4th event. Now in its 32nd year, the free family-friendly event features a variety of vendors offering festival-style food and beverages, arts and crafts, interactive exhibits, and a classic car show. Youth activities, rides and inflatables, as well as a water spray zone will be part of Kids’ World. July 4th Fireworks Spectacular | 5-10:30 p.m.
Fireworks commence at or around 9:00 p.m. This annual event, which takes place from 5:00 to 10:30 p.m., kicks off at Tumbleweed Park in Chandler. Produced by R-Entertainment, attendees can enjoy all the amenities of this award-winning park in addition to live entertainment, games, and face painting, as well as a variety of food and beverage trucks. Admission is free. Parking is $5 per vehicle (cash only). Fourth at the Fountain | 6-10:00 p.m. Put on your red, white and blue, and join the City of Fountain Hills for music, kids bounce houses, and a rock climbing wall. DJ Steve Grosz will keep the whole family moving and grooving with great tunes, prizes, and giveaways throughout the night. A firework display over the park’s picturesque lake begins at approximately 9:00 p.m. Admission is free. Parking is available throughout downtown Fountain Hills. July 4th Events for the City of Casa Grande | 10-10:00 p.m. The day’s events kick off at 10:00 a.m. at the Palm Island Family Aquatics Park (1150 N. Brown Ave.) for a Family Swim Day until 2:00 p.m. Activities and games will be held throughout the day. Admissions fees are reduced: $1 for adults and 50$ for children 17 and under. Food and beverages are available for purchase. Beginning at 7:00 p.m., bring your lawn chairs and/or blankets to Paul Mason Sportsplex in Casa Grande (2525 N. Pinal Ave.) for a night of family-friendly activities, including relay races, bouncers and games. Food and beverages are available for purchase. Admission is free. Arizona Celebration of Freedom | 6-10:30 p.m.
You’ll find fun for the whole family at the annual Arizona Celebration of Freedom. Entry into the event and activities are free. The event features family-friendly activities, musical performances, and a reenacting of the Revolutionary War. There will also be a military vehicle showcase, KOOL zone, and Yankee Doodle Kids’ Zone. Fireworks commence at or around 9:15 p.m. In its 66th year, Tempe Town Lake in partnership with Kiwanis Club of Tempe, presents the best fireworks show in the Valley shot from Mill Avenue Bridge. Featuring an inflatable village, rock climbing wall, various food and beverage vendors, and a Kid’s ID tent there is something for the whole family. General admission is $5 for per person. Children 12 and under are free. VIP garden tickets are also available for $60 (adults) and $30 (children ages 5-12). Have a Happy July 4th, and as always, be safe! This entry was posted in 4th of July Celebrations, Don't Text and Drive, Grilling and Food Safety, Hegarty-Haynes Insurance, Safe Driving. Bookmark the permalink.